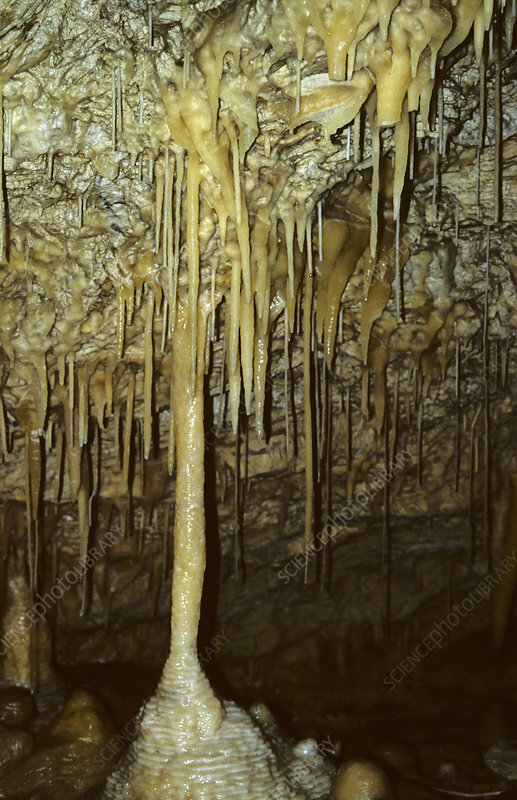 Stalactites (top) and stalagmites (bottom) in a wave-eroded sea cave that was subsequently uplifted. Maori Leap limestone caves limestone. Kaikoura, New Zealand.